Chinese regulators have warned bankers against shifting domestic currency out of the country; the Financial Times reported citing its sources. The move is part of the Chinese government’s strict new capital controls regime. According to people familiar with the matter, the new rules introduced this month require banks in Shanghai to 'import' 100 yuan for every 100 yuan transferred overseas. Such measures are expected to ensure there will be no net outflows of the Chinese currency. Previously banks had been allowed to remit 60 yuan abroad for every 100 yuan they brought back into China. Beijing-based banks have been ordered to import 100 yuan for every 80 yuan they remit overseas on behalf of clients, the sources added. "This regulation is a bigger nightmare for foreign banks because we are more reliant on cross-border business than Chinese banks," an unnamed banker told the FT.
Bankers said the central bank and State Administration of Foreign Exchange (Safe) were explaining the regulations over the phone and meetings. Safe has instructed not to inform clients why their overseas remittances are being stopped. 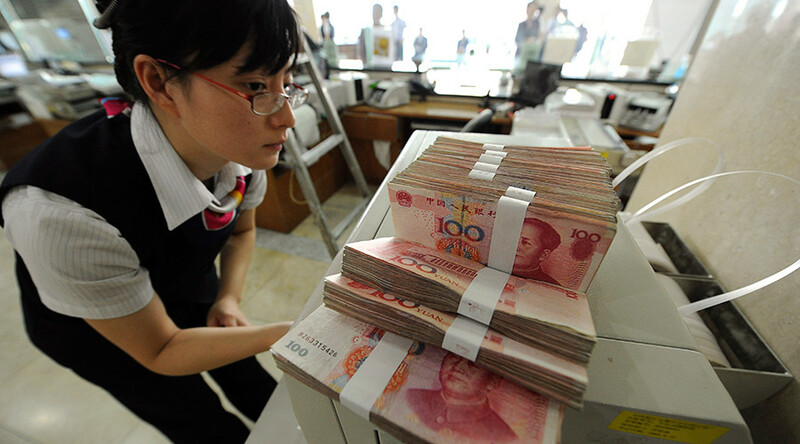 The administration is checking net yuan flows on a weekly basis, rather than the previous monthly returns, bankers said. Chinese yuan’s rapid depreciation against the US dollar has prompted the government support measures, including the sale of the country's foreign exchange reserves. Authorities introduced strict capital controls after forex reserves fell to the lowest level in over five years in October. The reserves dropped $45.7 billion to $3.12 trillion. Beijing's desire to internationalize the yuan by encouraging companies to use it for trade transactions, shareholder loan repayments, and dividend remittances was also one of the reasons for tighter capital controls. "Chinese importers are having trouble paying trade invoices denominated in renminbi," FT sources said. Data from Beijing’s policy researcher NSBO showed net renminbi outflows exceeded 265 billion yuan ($38.5 billion) in September but have since plummeted due to regulators’ measures. "The use of yuan for foreign transactions, which had been used to evade capital controls, dropped sharply [in December] to its lowest level since September 2015," said NSBO.